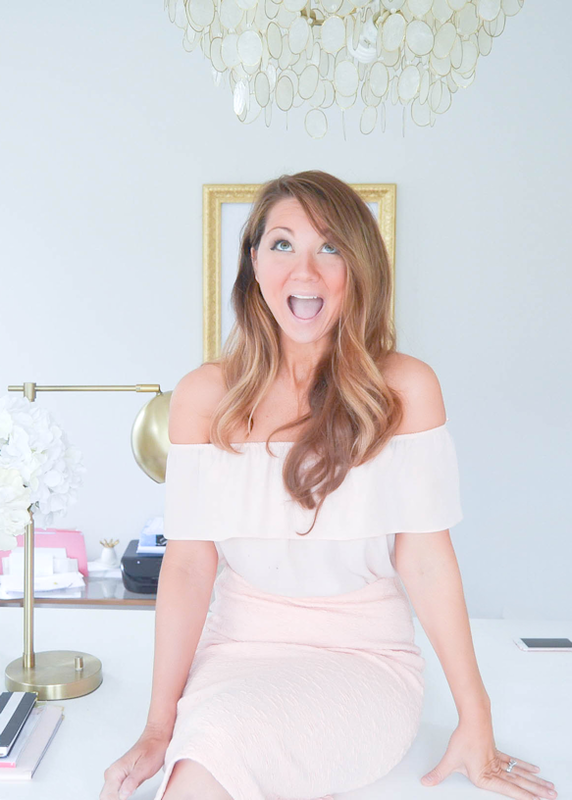 elle in a nutshell Elle Ellinghaus has a love-hate relationship with the color pink, thinks a Lilly Pulitzer dress can fix any bad day, and is a Southern Belle at heart. She holds a firm belief that all houses should have flower boxes and that if it doesn’t move, it should be monogrammed. Elle is married to her prince charming and is an obsessed Momma to their strawberry-blonde little girl, Emmy Lou. She designed their house in the country in 2015 and they live Southernly complete with a porch swing, donkeys in the backyard and toddler sized riding boots in the mudroom. Her personal instagram is based around living this “Pink Pineapple Life” and is filled with the #theellinghouse, style, behind the scenes EED and being a Momma to little Emmy Lou–usualy in matching outfits. Jillian and Elle are sisters and you can often find them showing up to events in unplanned, matching outfits, and laughing as vendors confuse them with the other. the start of a dream Elle has always had a passion for design and a strong work harder than you can dream ambition. She did not aspire to be a wedding planner and she actually never wanted to get married herself! It wasn’t until she met her husband that she fell in love with love. Once her green eyed boy walked into her life, she knew she wanted to combine her love of beautiful spaces with her passion for romance and become a wedding planner. Elle spent countless hours of hard work doing hands-on industry & event research to find out what works and what doesn’t, what a good planner should be and what tools they need. As she was creating EED, fellow planners asked her to help design their weddings; this lack of design in the wedding planning industry made her business plan a goal of combining the meticulousness of planning with the graceful art of design. With that, Elle Ellinghaus Designs began “officially” in 2010 and has become a leader in the world of weddings. Elle was chosen for “Top Ten” in Baltimore Magazine, her work has been and continues to be featured in countless publications and she was invited to be a featured author in the Event Planning Major’s textbook used in colleges nationwide. Since 2015, she has been mentoring and coaching wedding planners & small businesses as a cheerleader for their success and speaking at workshops and events across the country sharing her knowledge and story. le petit pineapple When Elle was asked to work with clients after their wedding for baby & bridal showers, first birthdays, debutante balls and more, her heart melted! In her words, “There is nothing more sweet than a petit little fete,” so in 2016 Le Petit Pineapple was dreamed up. A brand carried from the EED pink pineapple still focusing on high style planning, but for more petite soirees. She named EED producer, Chatara, as the lead designer and together they bring to life petite little parties. thankful Elle is so grateful and honored her dream that started with a sketchpad, blossomed into a wedding planning company that would be featured, have her designing in cities around the world and be asked to mentor others through workshops and speaking. You will never meet a girl so ambitious, determined, and incredibly humbled. Elle works with 2-3 luxury Full Wedding Planning & Design packages each year for clients wanting a full service, fully designed wedding. EED has an amazing team of experienced ladies to work with those wanting anything from Day of Coordination to Partial & Full Planning if this isn’t you! You can also find her inspiring others to follow their dreams as she did, and sharing the tools & knowledge do so through mentoring, workshops & speaking. For more information, see the Dream Followers tab!